The national offshore environmental regulator has rejected BP’s $1 billion deep-sea oil drilling program in the Great Australian Bight, demanding changes to its environment plan. The National Offshore Petroleum Safety and Environmental Management Authority says it is not satisfied by the British oil giant’s environment plan for deep-sea drilling off Australia’s southern coastline. The regulator says BP will have to modify its environment plan before any drilling can go ahead. “After a thorough and rigorous assessment, NOPSEMA has determined that the environment plan does not yet meet the criteria for acceptance under the environment regulations, and has advised BP of this decision,” a statement from the regulator says. “NOPSEMA is required by law to provide BP with a reasonable opportunity to modify the environment plan. A spokesperson for BP told InDaily the company would do exactly that. “It is usual for NOPSEMA to provide initial feedback that titleholders need to address before resubmitting an updated version,” the spokesperson said. The company’s plans for the bight have drawn strident criticism from the Wilderness Society, which released scientific modelling last month showing that an oil spill in the bight would devastate South Australia’s $422 million fishing industry and coastal tourism across Australia’s southern coast. 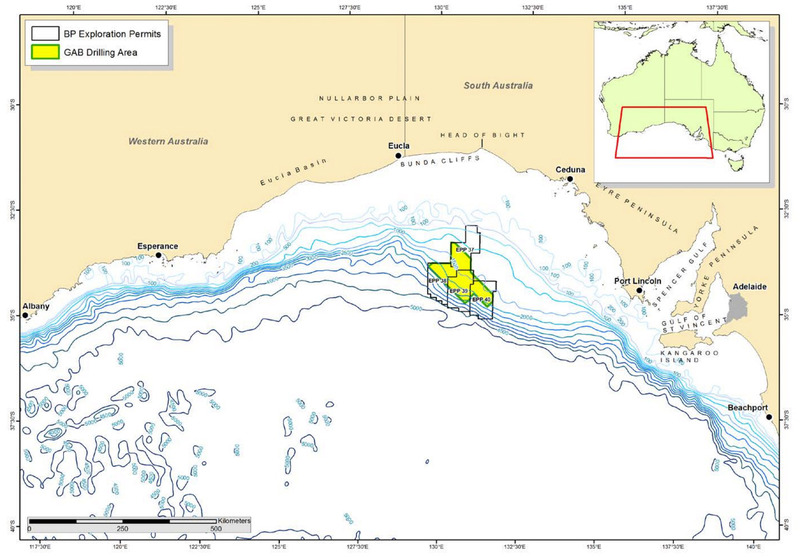 BP plans to drill for oil in an area of ocean approximately 395 km west of Port Lincoln and 340 km southwest of Ceduna in the summer of 2016-2017. Image: NOPSEMA. “The Great Australian Bight is an extremely remote area, it’s extremely rough and what BP is proposing is very deep sea exploratory drilling,” Wilderness Society Australia director Peter Owen told InDaily. “Exploratory drilling is where it all went wrong in the Gulf of Mexico. “That … decimated that entire area (and) cost billions and billions of dollars. “This is an extremely risky proposition. Owen said in a statement this morning that “BP should take this opportunity to drop its plans to drill in the Great Australian Bight, especially after it released a statement last month saying it supported action on climate change. “It doesn’t appear that BP even completed an oil pollution emergency plan or a comprehensive risk assessment. SA Greens Senator Robert Simms welcomed the regulator’s decision. “NOPSEMA’s decision to reject BP’s risky proposal to drill for oil off the Great Australian Bight is great news for South Australians,” said Simms. “To have a company with BP’s shocking environmental record drilling in such an important region would have put both our tourism and fishing industries at risk. 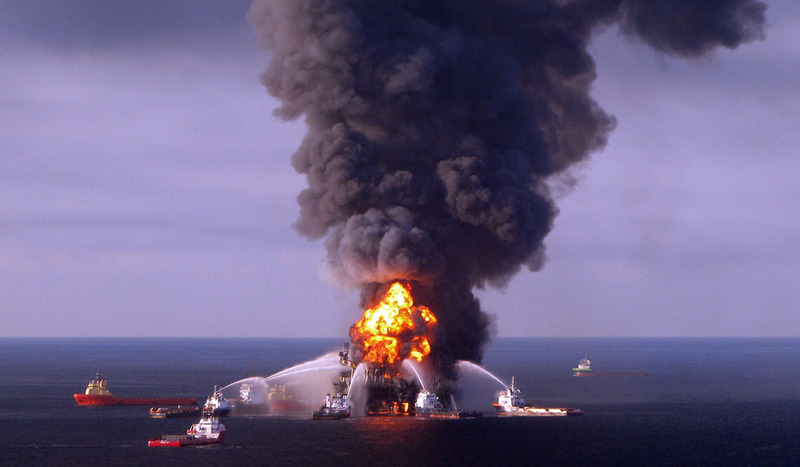 “BP clearly hasn’t learned from their disastrous Deepwater Horizon oil spill five years ago. Photo: AAP / Jeff Drewitz / Wildlight.